Iran has set up 10 new rapid reaction brigades and plans to create more units to bolster its counterterrorism efforts, President Hassan Rouhani’s defense minister nominee has told the country’s parliament. Introducing his plans for the Defense Ministry, Brigadier General Amir Hatami added that five of the new brigades have been established within the country’s Artesh (regular army), whereas the remainder consisted Islamic Revolution Guards Force (I.R.G.C.) Ground Force units. Hatami, who is nominated to replace Hossein Dehghan as defense minister, also stressed that he plans to further enhance the country’s missile capabilities, develop air defense missiles for the Iranian naval forces, upgrade other naval assets, manufacture new helicopters and tanks, and equip and advance the military’s radar system as well as other intelligence assets. Comment: The June 7 Tehran attacks rocked the Iranian state to its core. While the Islamic State claimed the twin attacks, all assailants were Iranians – indicating that the terrorist group had succeeded to infiltrate Iran and recruit among the country’s disaffected Sunni minority. Iran and its proxies have been fighting the Islamic State in Iraq and Syria over the past three years; and as the terrorist group is losing ground in the two Arab countries, it is attempting to make Iran a new battleground. In recent months, the extremist Sunni group has dialed up sectarian propaganda against the Shiite Islamic Republic – particularly appealing to Iran’s disenfranchised Sunnis. On August 9, the Islamic State circulated a new video threatening attacks in Iran and urging young Iranians to rebel against the Islamic Republic’s leadership. 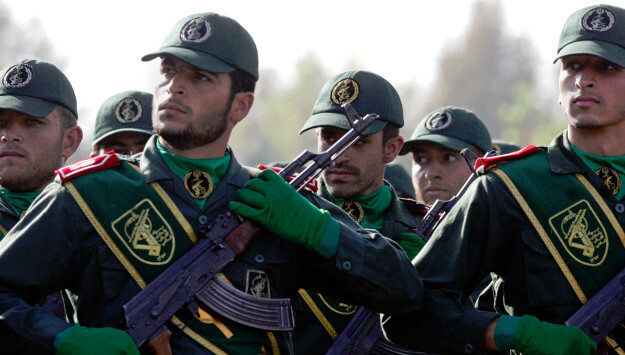 In recent months, Iranian authorities have claimed that they have foiled several Islamic State-inspired terrorist plots across the country. On August 7, for example, Iran’s Intelligence Ministry said it had arrested 27 terrorists linked with the Islamic State. A statement released by the ministry claimed that the terrorist group planned terrorist attacks in Iran’s strategic provinces and religious cities, and that Iranian intelligence agents also confiscated weapons and explosive material the militants were attempting to smuggle into Iran. The ministry pointed out that the counterterrorism operation was successful as a result of cooperation with the intelligence agency of a regional country, but it did not reveal the name of the country or the location of the operation. “In this regard, 10 individuals were detained in this group’s training base on the other side of the borders, while 17 others were arrested inside the country,” the statement added. Security situation in Iran’s southwestern and northwestern regions has particularly been tense and volatile. With a sizable yet largely marginalized Sunni population, the southwestern province of Sistan and Baluchestan can be a breeding ground for local militant and separatist movements as well regional and international terrorist groups such as the Islamic State and al-Qaeda. Sunni Baluchs, who constitute a plurality of the population in the province, have long suffered state-sanctioned discrimination, economic marginalization, cultural repression, disproportionate executions, torture, detention without trials and extra-judicial killings. Sistan and Baluchestan also borders Afghanistan and Pakistan, where the Islamic State has gained a foothold recently. In the northeast, the Democratic Party of Iranian Kurdistan (P.D.K.I.) has resumed armed resistance against the Iranian regime. Mustafa Hijri, P.D.K.I.’s secretary general, said in January that their resistance was not “just for the Kurds in Iran’s Kurdistan, but it is a struggle against the Islamic Republic for all of Iran.” PDKI militants based in the Iraqi Kurdistan have repeatedly crossed the border and clashed with the I.R.G.C. in the Iranian province of Kurdistan. Iranian leaders often try to justify the country’s costly military intervention in neighboring countries by reasoning that fighting the enemy abroad helps prevent its infiltration inside Iran. The latest attacks and the infiltration of the Islamic State, however, discredit Tehran’s narrative that its military adventurism abroad ensures security at home.